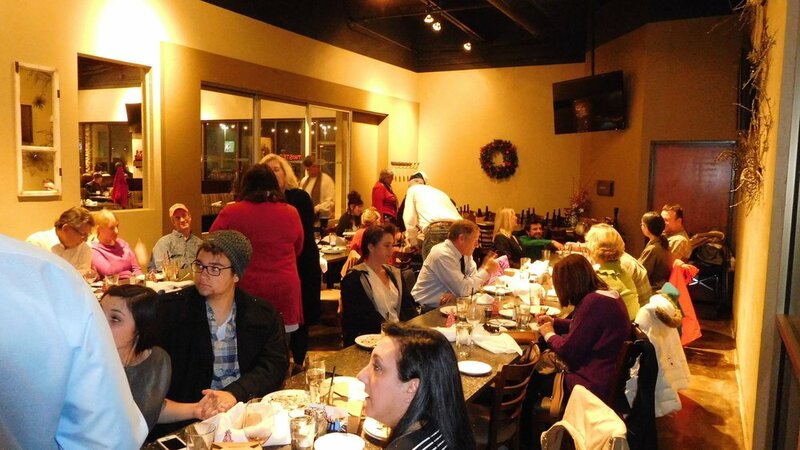 HIANN sponsors an annual Christmas Dinner for all members and special guests. The time and place has not been determined yet this year. !!!!! HIANN Sponsored Christmas Party !!!!! For those members and friends that have confirmed their HIANN Christmas Party reservations, please read the information in the event announcement below. V&T Railroad Train: The train will depart from the V&T Railroad Depot located on 166 F Street in Virginia City promptly at 4:00 pm. If you have a mobility issue, we highly recommend that you arrive by 3:30, so that we can assist with your boarding via a lift provided by the V&T. It is a bit of a steep climb to get into the 1860’s train, so please be early if you think you may need assistance. All others should arrive by 3:45 which will give you plenty of time to park and board the train. There is ample parking in and around the train depot, so finding a spot should be easy. Our Student Intern from Douglas High School, Evan Byassee, will be on-hand to coordinate the boarding process for those that intend to use the lift. Due to the time of the year, it may be a bit chilly and the train may not have the best heating, so bundle up for this part of your evening. Delta Saloon: After our train ride, please return to your cars to make the 5-6 block drive to the Delta Saloon located on the main street of Virginia City on 18 C Street. Directly across from the Delta Saloon there is a parking lot that is reserved for our event. Michael Hume will be stationed in the parking lot and will direct you to a parking space. For those with mobility issues, the parking lot is only a few feet from the Delta Saloon and is an easy short walk. We will be double and/or triple parking depending upon the number of our vehicles present, so be prepared. There should be plenty of on-street parking as well, so this should not be an issue for anyone. When you enter the Delta Saloon you will be greeted by Sabrina Martin and Tammi Davis, one of our new members and a resident of Virginia City. They will direct you to our registration table where HIANN Members will provide you additional information on the events for the evening. If you have any questions or issues contact Jeff McDaniel at jeff@mcdaniel.net or call/text (209) 482-8562. Please remember that if any member or their guests cancel for any reason, the member will be responsible for the cost of their parties dinner and train trip.